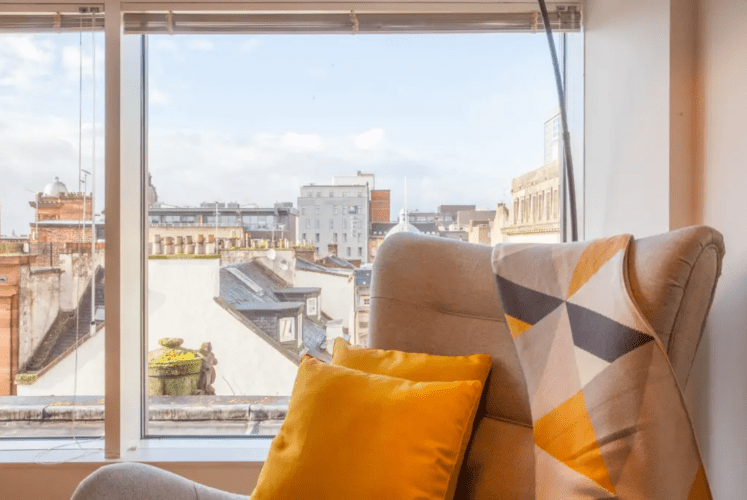 Ever heard of the term ‘Airbnb Superhost’ but you’re not entirely sure what it means? Airbnb Superhosts tend to be experienced hosts, who can offer their guests outstanding services. The Superhost status is given to hosts once they have met certain requirements. Hosts will receive a badge on their profile once they have reached the status. There are a number of Airbnb Superhost benefits, so aiming for that badge is very worthwhile! If you’re able to maintain your Superhost status for a year, Airbnb will gift you with credit on your one-year anniversary which you can spend on an Airbnb trip! You may even receive invites to exclusive Airbnb events too. But be careful – you won’t receive credit if the badge is stripped from you in less than a year. A Superhost badge can be revoked if the terms and conditions are violated. Airbnb check-up on Superhost’s activity four times a year to make sure they are maintaining the standards. A full list of the Airbnb T&Cs can be viewed here. It can be frustrating waiting to hear back from customer support when your experiencing some problems. But when you’re a Superhost, you’ll receive ‘super support’ from Airbnb customer support, whether it’s through the phone, email or social media. If you have a problem or need some help, you’re Airbnb’s priority. As a Superhost, customers are more likely to trust you and choose you over hosts who don’t have a Superhost badge. It’s your badge that is really going to make your profile and listing stand out. You’ll also be featured to guests in search results and emails So, when you have reached the Superhost status, expect bookings and enquiries to increase. And more bookings ultimately mean that Superhosts will earn more revenue. According to Airbnb, Superhosts earn an average of 22% more than other hosts. This could be up to as much as almost £1000 in extra income a month. The benefits sound great, don’t they? So how exactly do you become a Superhost? Superhosts are expected to be on the ball with responding to new messages. Airbnb state that 90% of messages should be responded to within 24 hours, so be sure that you are acknowledging these and actioning them. Getting back to customers quickly is a sign of good customer service. A study by AirDNA highlights that cleanliness is one of the biggest differentiators between Superhosts and non-Superhosts. But maintaining clean accommodation is a no brainer. Clean accommodation is just one basic aspect of what makes customers happy and will essentially lead to better reviews. Investing in a proper cleaning strategy and comitting to high standards will ensure you stay on top of this area. Once you have a booking, you should never cancel it or remove your listing unless absolutely necessary. Not only will this stop hosts from reaching the Superhost status, those who have already achieved the badge will have it revoked if they cancel a reservation. Airbnb can, however, waive the penalties if a cancellation was made under certain unavoidable circumstances. 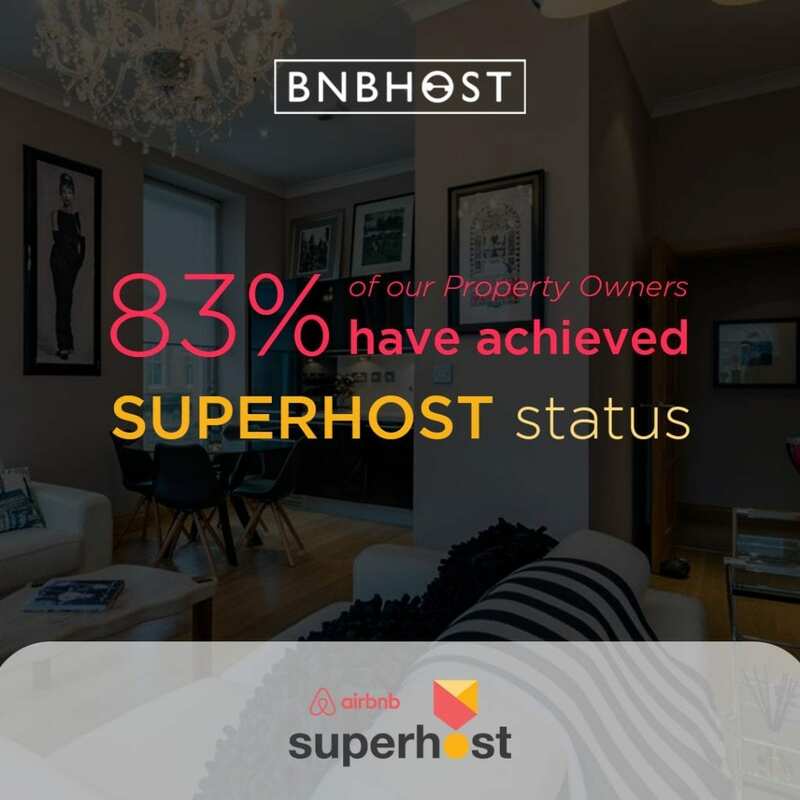 If getting your property to Superhost standards is something that you are interested in, Bnbhost can help you! We take care of everything from listing optimisation to photography and pricing strategy to guest satisfaction. We take care of your property and keep your guests smiling whilst you enjoy more of your free time and reap the financial benefits. We can even help with interior and renovation projects too, to maximise the potential of your property. You’ll be set on the right path to Superhost status in no time! Get in touch with us today to discuss how we can help you earn the Superhost badge.